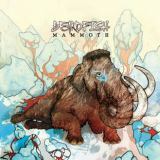 With a name like Beardfish, this Swedish four-piece could really only be a prog rock band, deliberately retro in style but with a modern production and a rich, broad sound making for a package that has a lot of appeal. Their vintage approach to songwriting gives the likes of the eight-minute The Platform a sense of flow and melody that’s straight out of the early seventies, almost hard rock at times as the backing guitar rages constantly at its restraints – bursting free for solos, adding to the melodic overload. Vocals and keyboards take precedence, the rambling performance of both from Rickard Sjöblom little short of incredible, fitting into the band’s natural style wonderfully and never allowing his voice or instrument to overwhelm the others. Beardfish as a whole are a tight unit, each a cog in the prog machine that never fails whether it’s the gentle, King Crimson-esque And The Stone Said or the very mild alt-rock lashings of Green Waves, complete with epic wails from Rickard and groovy guitar stomps. Not that you’d call those moments anything close to violent – this is prog as escapist, near-pastoral fantasy land, lush and delightful rather than challenging or difficult. Metalheads looking for new frontiers to be broken should look elsewhere. The heaviest moments on the album, some raw-sounding keyboard plonks at the start of Akakabotu, are little that will raise eyebrows, and are contrasted with blissful melodies and saxophone flourishes rather than allowed to stand on their own. Beardfish take the listener by the hand and guide them through their weird and wonderful world, offering reassurance with every step, and as such newcomers to the genre will find much to enjoy here, as will more experienced progheads looking for a taste of the past.